Take a moment to read this interview about Jesse Balter, an Olympus Offroad Sponsored Driver! Olympus Offroad Is a Dealer of Barnes 4wd Products. We are excited to post this article featuring Barnes in house made Enduro joints. These are a great alternative to Heim Joints and Johny Joints. Enjoy this and remember to Shop Olympus Offroad for all your Barnes 4wd needs. When Barnes 4WD designed the Enduro Joint we combined the best materials, the best manufacturing processes and the best steel and poly urethane treatments available all in one joint. 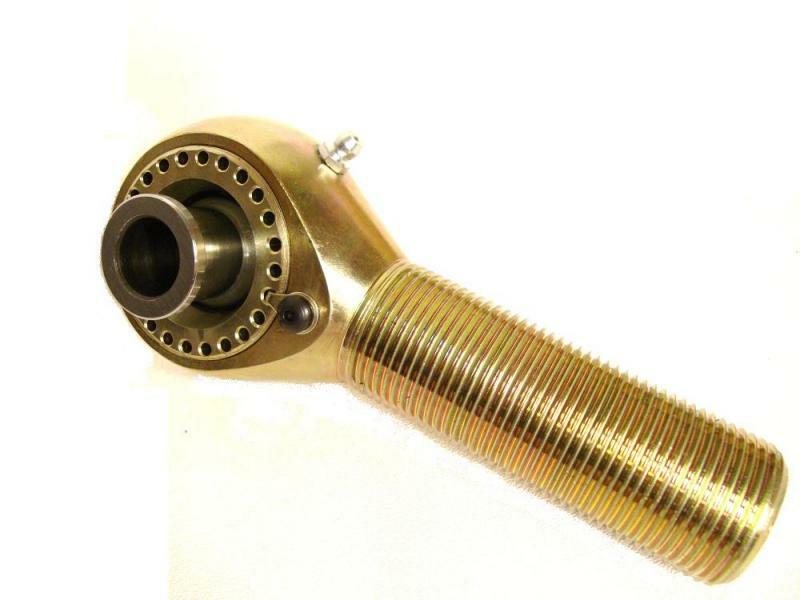 The body of the Enduro Joint is Forged 4140 heat treated Chromalloy steel. 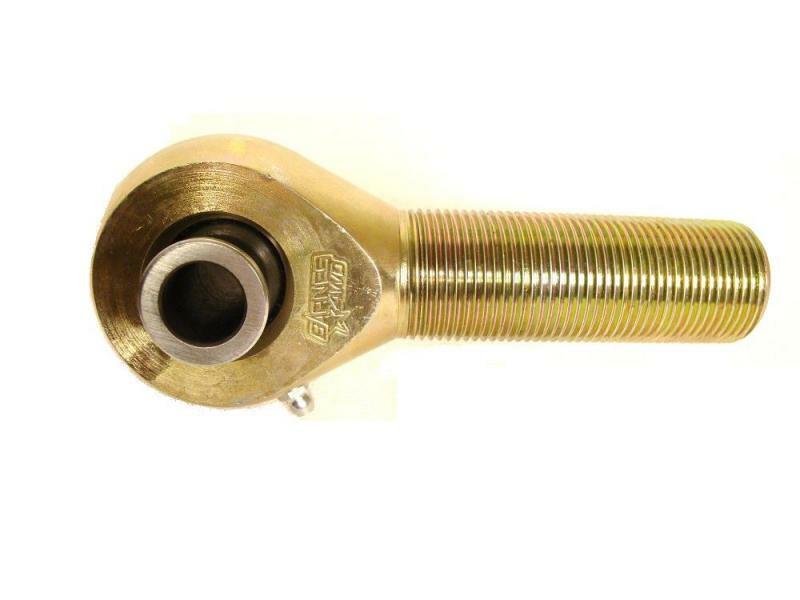 We did not try to cut any corners by making a short threaded shank like a heim joint instead we give you 3.25” of 1.25-12 threaded shank. That is over one inch longer than 1.25” heims on the market. The Enduro Joint’s ball is made from 52100 bearing steel and incorporates the high misalignment spacers all into one piece of steel that provide 40 degrees of total misalignment. Forty degrees of misalignment will net almost 33” of travel on a four foot control arm. The spherical bearing is then Hard Chrome plated to provide an ultra smooth surface and has proven to provide excellent corrosion protection. The mounting width of the Enduro Joint is 2 5/8” and accepts a 5/8” bolt. The spanner nut locking mechanism ensures that the joint will not come apart and if ever needed an easy way to add more bearing preload. The cups that the spherical bearing rides on are an 88 durometer poly urethane that ensures maximum life, no squeaks like heim joints and they help to dampen axle vibrations felt through the chassis. 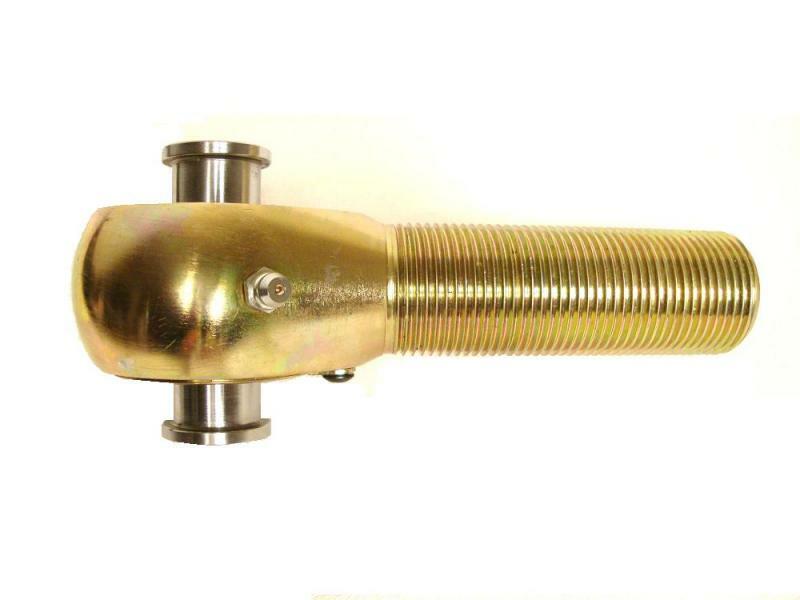 The body of the joint and the spanner nut are gold zinc plated to ensure that the Enduro Joint looks great for the life of the joint. Once the joint is fully assembled we are still not finished making the ultimate joint. Every completed Enduro Joint assembly is then Cryogenically Treated to give the Enduro Joint the most strength and greatest wear characteristics possible. They cost $47.90 and can be found in both LEFT and RIGHT thread. Arachni Recovery Equipment, also known as A.R.E. Offroad, is a line of recovery products from Olympus International. The goal from the beginning was to offer the best products for the best price and be able to provide the best warranty for any recovery product. The first product launched was a super strong custom blend 12 strand winch rope. With a less than 1% failure rate this winch rope is by far the best option for all areas of recovery. Early on the colors selection was limited but that changed quickly. To this day there have been over 30 different color options produces. While some colors are more unique, a standard portfolio of winch ropes are available. In 2016 the very first CAMOFLUAGE winch rope was finalized and produced. The ability to blend multiple colors into one rope giving the rope a custom camo look was a first of its kind. The next custom color winch line was the Red White and Blue USA color blend. The 12 standard 12 strand winch line from ARE Offroad has been used for everything from Offroading in the Australian Outback to Racing at the King of the Hammers to deep snow recovery in Utah. Arachni winch line has proven itself to be the best option for a synthetic winch rope. ARE offers a 3 year warranty on their winch line versus the standard 1 year warranty seen by many. If your rope fails you simply send it to us and we will either repair it or replace free of charge during the warranty period. When you are in need of recovery gear, remember to Recover with ARE and Recover with the Best.